Botox and fillers – Botox and dermal fillers are a non-surgical way of cosmetic enhancement of facial appearance by their injection into various parts of the face to minimize the appearance of fine lines, wrinkles and sagging skin. Botox is a bacterial toxin, when injected into the facial muscles, acts as a skin tightening agent. Dermal fillers, on the other hand, are injectable formulations of natural materials like collagen and hyaluronic acid. These materials can be safely injected into the facial skin to increase volume, decrease the prominence of wrinkles and give the skin a supple, elastic and desirable cosmetic appearance. Face-lifts – Facelifts are cosmetic facial surgical procedure in which sagging, ageing skin is surgically enhanced to assume a tighter, more youthful appearance. Face-lifts are of many types such as the SMAS face-lift, MACS face-lift, and the mini-facelift. Facial fracture reconstruction is a complex procedure requiring highly specialised surgical skills. Fracture repair aims to restore the correct architecture of the face by using metal plates, screws and wire to secure the bones in their rightful place. In some cases of severe fracture, bone grafts derived from other parts of the body may be necessary. Squamous cell carcinoma – This is a cancer of the skin which is quite treatable if diagnosed early. If allowed to remain untreated, it can grow and metastasize to other parts of the body. Squamous cell carcinoma is caused due to over-exposure to UV radiation. Therefore, it is important to protect your skin from UV radiation by using a sunscreen or protective clothing. Basal cell carcinoma – Basal cell carcinoma is a type of cancer that originates in the basal cells of the skin. This type of skin cancer is also caused by exposure to UV radiation, environmental toxins, and UV light from tanning and radiation beds. You can reduce your risk of basal cell carcinoma by using sunscreen, avoiding the mid-day sun and wearing protective clothing. Sebaceous gland carcinoma – This is a rare type of facial cancer which is found in the sebaceous glands, predominantly near the eyes and the eyelids. Sebaceous gland carcinoma can metastasize to other parts of the body if not treated in time. Facial cancers are treated by removing or excising the cancerous tissue as closely as possible to prevent further spread and metastasis. A number of techniques are available to facial plastic surgeons and oncologists for removal of cancerous tissues such as radiation therapy, cryosurgery, excisional surgery, electrodessication and curettage. Dr. Debraj Shome has been responsible for the setting up and operation of a chain of specialised medical centres for eye, skin and cosmetic surgery known as The Esthetic Clinics. These clinics can be found all over Mumbai, India. 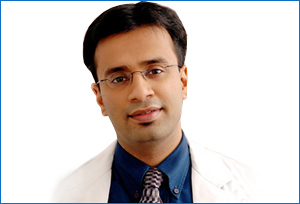 He is a cosmetic surgeon with patients from several countries all over the world, and is actively involved in trying to establish India as a prime destination for medical tourism.Dr. Debraj Shome has trained in some of the best hospitals and medical universities around the world, and has been felicitated with the title of “The Most Promising Face in Plastic Surgery’ in India.